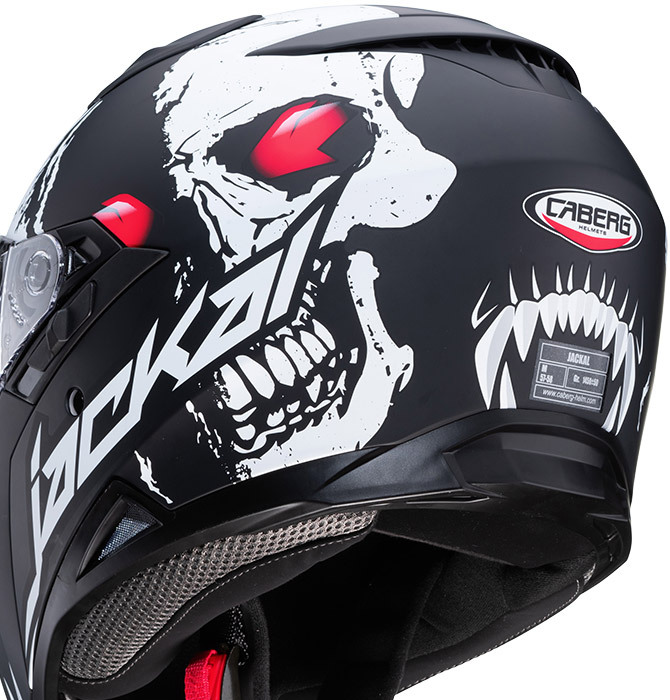 JACKAL IS THE FULL FACE HELMET LAUNCHED BY CABERG. 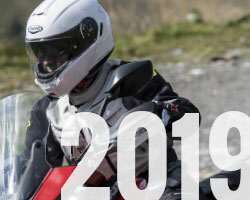 A SPORTY AND DYNAMIC DESIGN COMBINED WITH THE COMFORT AND TECHNICAL SOLUTIONS OF A TOURING HELMET WITH AN ENTRY-LEVEL PRICE AND THE QUALITY OF AN ITALIAN PRODUCT. The shell has a compact volume thanks to 2 shell sizes (the small one from XS to M; and the bigger one from L to XXL) that offer the best fitting proportion between the shell volume and the motorcyclist’s head size to the benefits also of aerodynamics, quietness and weight. JACKAL is the ideal helmet for everyday use, but also for long distance routes thanks to the features that make it very comfortable and versatile. The lining, entirely removable and washable made with hypoallergenic and breathable fabrics, and the three air vents and a rear extractor grant maximum freshness and comfort. 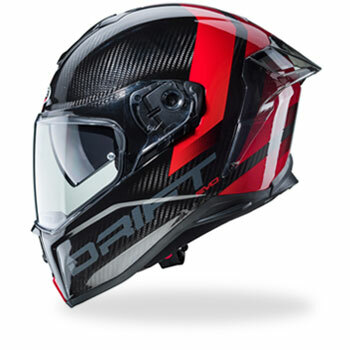 The two-way air vent on the chin guard drives air directly to the inner side of the visor to avoid misting; the 2 vents on top, channel fresh air inside the helmet, while the rear vent favours the discharge of hot and stale air. All vents are adjustable and can be easily regulated also while wearing gloves. 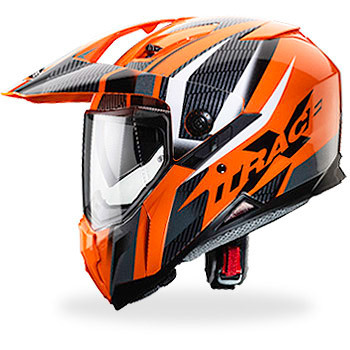 The wind deflector below the chin and the one for the nose are both removable; the retention system comes with a micrometric buckle and a wide and padded comfortable chin strap. 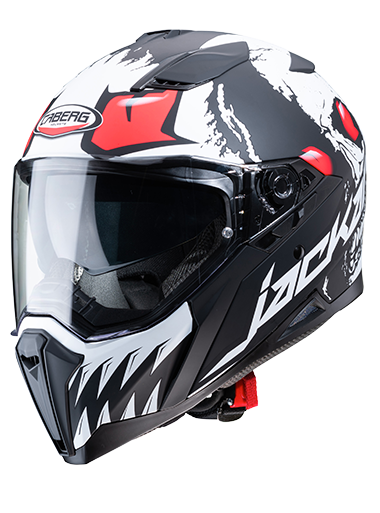 JACKAL comes with an integrated sunshade visor DVT (Double Visor Tech) that is easy to regulate thanks to the lever on the side and a wide anti-scratch clear visor that allows not only a wider lateral view, but also an optimum visual in all light conditions. The clear visor is equipped with a new quick release mechanism and can be removed without the use of tools; It is also prepared to fit the Pinlock lens to avoid misting. 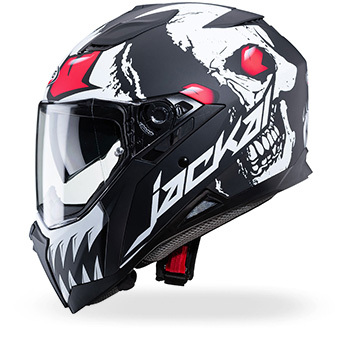 JACKAL is offered in the new graphic versions IMOLA (two color combinations), in the graphic versions SUPRA (three different color combinations) and SNIPER in (two different color combinations), and also in the solid versions White and Matt black.